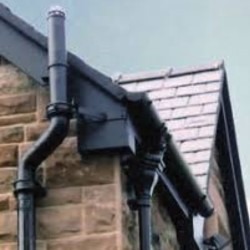 Cast Iron Half Round Deepflow Gutter is perfect for buildings with large or steeper roofs, as the higher flow rate of this style of gutter reduces the requirement for the amount of downpipes that would otherwise be required with a standard half round system. 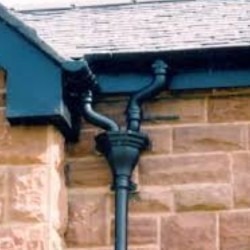 Cast Iron Deepflow is available in two sizes, 100mm x 75mm and 125mm x 75mm. 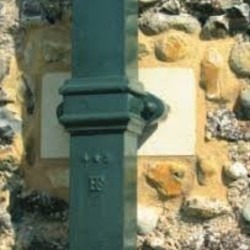 Both are available in either a black painted or primed finish.